The ALEXA Mini LF MVF-2 Set from ARRI combines the multifunctional MVF-2 viewfinder unit with 1.15 and 1.5' CoaXpress viewfinder cables for connecting to your ALEXA Mini LF camera. 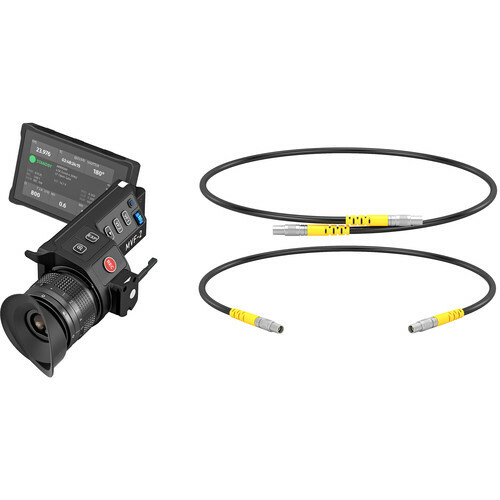 The 1.5' ARRI Cable VF connects the MVF-2 viewfinder unit to the ALEXA Mini LF camera. Both ends of this cable feature keyless CoaXpress connectors for quick, easy linking to the MVF-2 viewfinder.